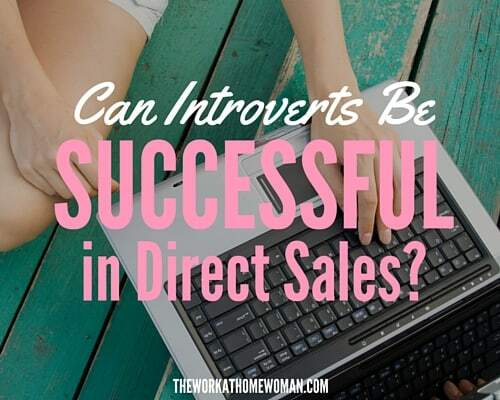 You are here: Home / Direct Sales / Can Introverts Be Successful in Direct Sales? Misty Kearns is an introvert from a small town who started in direct sales 10 years ago for the discount. Then she lost her job. Find out how she was able to replace her corporate income and live the life of her dreams. Three months after saying I would never build a business, I lost my full-time job. I was 25, single and had less than $1,000 in savings. I knew I did not want to go back to the corporate world but wasn't sure what I was going to do. In addition to direct sales, I have been successful at blogging and website design. I am now a success coach. I teach other direct sellers and online marketers how to develop the mindset of success, overcome fear and gain confidence, how to authentically share about their business without being pushy or salesy and how to create and implement systems that help them work smarter so they can get more results in less time. As a self-proclaimed introvert, what strategies can you share with shy individuals on how to be more confident in their business? 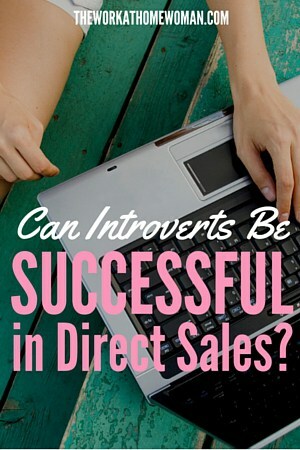 Just because you are an introvert doesn't mean you can't be successful in direct sales (or any marketing type career). Most introverts don't like small talk or being caught off guard, and typically their energy gets drained from being around a lot of people or in highly social environments. So the first thing is to understand that fear is normal and natural. It is simply a chemical reaction in your body when your brain senses a situation that is either unfamiliar or uncomfortable. You can learn how to work through that fear by changing how you think about marketing your business. Second, be prepared! When I feel like I know what I am talking about, I feel more confident to share with others. Take the time to learn about your products and promotions, to learn word choices, write out scripts, practice and memorize them until you feel confident saying them. Practice makes confidence. How can direct sales consultants get more bookings without being pushy? By focusing on building relationships, providing solutions and actually offering the option to host a party to everyone. Most bookings, recruits, sales and commitments do not happen until the 5th-8th conversation / follow up. Get to know your customers and potential customers, what their needs are and what their personalities are. Cater your party themes and options to them and what will excite them. Following up is important too. Instead of worrying if you are bothering people, think about how you are providing a service and that when you don't follow up it looks like you don't care about them or their needs. Don't be afraid to ask people either. If you don't ask, you have a zero percent chance of getting a yes. If you do ask, you have at least a 50 percent chance of a yes! You never know from where that next party might come, and one party can lead to dozens more parties. What advice would you give to a new consultant on how to build a thriving direct sales business? Be your best self and let go of perfectionism. You will learn as you go just like everyone does so don't be so hard on yourself. Focus on serving others. Be passionate about what you do. Be consistent and persistent. Understand that direct sales is more of a marathon than a sprint. It takes time and hard work, and it won't always be easy, but the rewards are always going to be worth it so keep going for your dreams! What should aspiring consultants look for when they’re scoping out new direct sales opportunities? I think it really has to start with a product you feel passionate about and a company you would be proud to represent. Definitely research the company first and make sure you connect with your upline too, that they are someone who is serious about the business or there is a higher upline you can connect with for additional help. I have a video with more things to consider here. You have a monthly Direct Sales Success Club. What is offered in it, and who would be a good fit for it? Yes, one of the biggest struggles I had when building my business was the lack of a supportive upline or environment where I could get new tools, training, support and accountability. I provide all of those and more in my Success Club. We have a wonderful group of direct sellers who are goal oriented and on a mission to build their businesses authentically and to help others. Each month members get a “Business Building Bundle” that provides goal and success planning worksheets, a ready-made marketing plan that has content, pre-made images, and marketing ideas you can use in person or online. We also have a different theme or area that we focus on each month with training webinars from me, weekly challenges and accountability partners to help you implement what you are learning and stay on track to reaching your goals. There are other perks too like access to my training archives, a monthly book club, special bonuses like my printable Success Planner system and other training. Plus I am very active in my member group and quick to reply to messages and emails so you will get lots of access and support from someone who has truly been there, done that and is passionate about helping you reach your goals and be more successful. 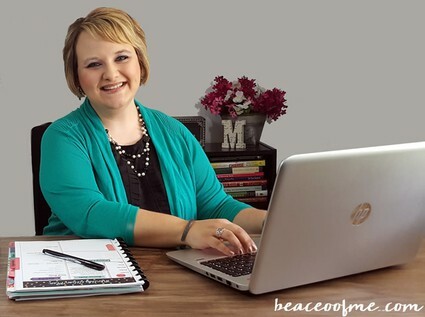 My Success Club is for any direct seller or network marketer who wants access to tools, support, training, and accountability will help them build their business without all the stress, struggle and overwhelm. What has been your biggest struggle as an entrepreneur? Conquering my mindset (overcoming fears, self-sabotages and limiting beliefs), learning to be comfortable being totally authentic and not worrying about what others think. I believe the reason that some people are more successful than others comes down to their mindset and attitude. I see too many entrepreneurs, women especially, who are not living their dreams because they are living in their fears. That's why I am so passionate about coaching others on how to get past the fear and self-doubt so they can develop the mindset of success and not let anything hold them back from reaching their goals. What are some of your favorite time management tips and tools for direct sales consultants? I am a commitment phobic (lol) and a total creative type personality so I have a really hard time working on a set schedule. Doing an 8-5 or 10-2 just does not work for me. What I found that worked for me is having theme days. I took my goals and all the regular activities I have to do in my business, broke them down and then put together similar tasks/activities into themes. Then I work on those areas on different days of the week. (Of course, some activities are done daily or different times of the month as needed.) This helps me work in a more systematic manner and get more work done in less time. I know what I need to do pretty much every day in advance, so I don't feel stressed or overwhelmed. It gives me the flexibility to control my own schedule. I go over creating theme days in more detail in my blog post here for those who want to learn more. My other tip would be to stop procrastinating! When you have something to do, just do it. Get it out of the way so you can go on with the rest of your day. Remember you are your own boss, so if you are not working your business like you should be working it, you are basically firing yourself. Do You Have the Right Personality for a Direct Sales Position? I promote nootropic infused coffee and chocolate that makes you HAPPY! Helps with weight management, and MOOD! We are 80% women and promote our success by elevating, encouraging and edifying women. Go to my website: elepreneur.com/lbouchard or elevacity.com/lbouchard Come on ladies and join an awesome company!! Glad you enjoyed the interview, Karen! How long have you been in direct sales? Any tips for other introverts? I am from India. Can I do this business , do I get payment for this sale. I do online marketing for Moji Life. We promote and sell all natural nontoxic luxury fragrances and Essential Oils as well as cleaning supplies. If you wanna become part of a business that is just getting started go to my website http://www.mojiproducts.com/cristinamendez and join for as little as 85 while we we are still in Pre Launch!